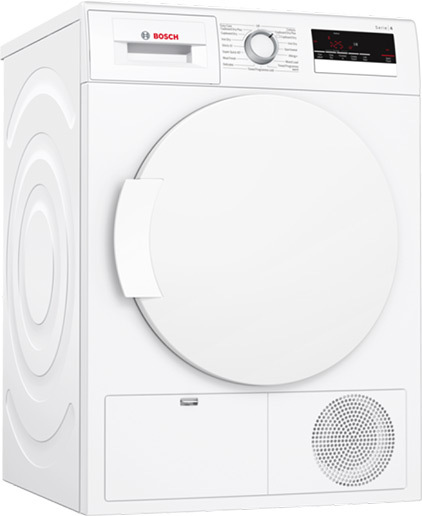 Enjoy the water-saving, energy-saving qualities of a Bosch condenser dryer. Fit up to 8kg of wet laundry in the large drum. It’s easy to load and unload through the decently-sized porthole door. And understanding the LED display’s simple. With special drying settings for wool and sports gear, you can efficiently dry almost anything. Cycles can be delayed by up to 24 hours. You can efficiently dry almost anything.